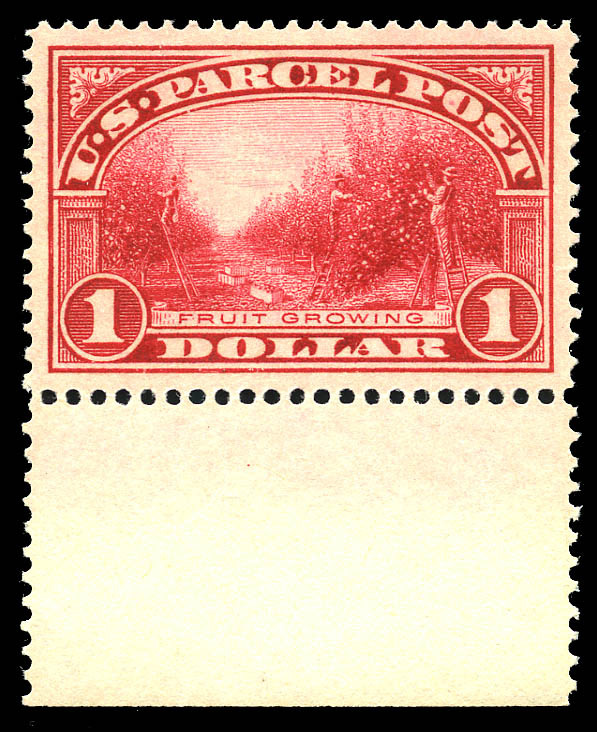 Parcel Post, 1913, $1 carmine rose (Q12), Bottom margin single, absolutely perfectly centered with brilliant color, Superb, SMQ $8000 as 98, unpriced as a 100. MOST LIKELY THE FINEST MINT NEVER HINGED SINGLE EXTANT. IT HAS BEEN AWARDED THE HIGHEST GRADE AND IS THE SOLE EXAMPLE AT THIS GRADE. Expertization: with 2016 PSE certificate graded Gem 100.